How does the cost of Invisalign compare to traditional braces in Sunbury and Moonee Ponds? If you want a beautiful, healthy, straight smile without the embarrassment of metal braces, then Invisalign is probably a great option for you. We are proud to offer this convenient, cosmetic, effective orthodontic solution at our offices in Moonee Ponds and Sunbury. Many patients are also pleasantly surprised to learn how cost effective this treatment is. 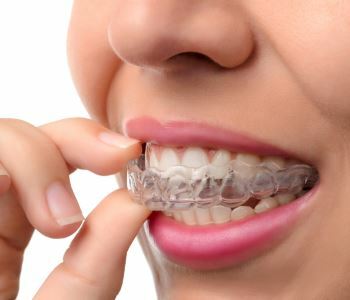 Invisalign is an advanced orthodontic system that utilizes transparent, flexible aligners rather than traditional metal brackets and wires. In most situations, Invisalign treatment can achieve results comparable to those of standard braces, in about the same timeframe. Ultrathin, custom shaped aligner trays are lightweight and comfortable to wear. The average price of Invisalign is generally similar to that of brackets and wires. However, orthodontic treatment is highly individualized. For any type of treatment, the price will vary from one patient to the next. The same is true of effectiveness. The only way to find out if one type of treatment would be less expensive or more effective in your specific situation is to have a consultation with a qualified provider. Dr. Rose and his team of dentists are proud to offer patients a variety of options, including Invisalign and standard braces. Call 03 8400 4104 (Moonee Ponds) or 03 8001 6021 Sunbury or now you can book online to schedule an appointment at Smile in Style and find out about your best treatment options.